44. וְאִם תֹּאמַר שֶׁאוֹתָן נְשָׁמוֹת יַעֲשׂוּ טוֹב לָעוֹלָם – לֹא כָּךְ, שֶׁכָּתוּב אִם רָעָה בְּעֵינֵי אֲדֹנֶיהָ, שֶׁיַּחֲמִיץ אוֹתוֹ הָאִישׁ בָּהּ לְאַחַר יָמִים, אִם יִתְקַיֵּם בָּהּ. זוֹ נֶעֱשֶׁקֶת, וְאַחֶרֶת לֹא נֶעֱשֶׁקֶת, וְעַל אֵלֶּה כָּתוּב, (קהלת ד) וָאֶרְאֶה אֶת כָּל הָעֲשׁוּקִים וְגוֹ’, וְהַיְנוּ אִם רָעָה בְּעֵינֵי אֲדֹנֶיהָ. 45. אֲשֶׁר לֹא יְעָדָהּ. לֹא – כָּתוּב בְּאָלֶ”ף. אִם תֹּאמַר שֶׁהֲרֵי בְּאוֹתוֹ הַצַּד הָאַחֵר הִזְמִין לָהּ הַקָּדוֹשׁ בָּרוּךְ הוּא מִיּוֹם שֶׁהָיְתָה – לֹא! וְעַכְשָׁו בְּגִלְגּוּלֵי הַמֹּאזְנַיִם – לוֹ יְעָדָהּ, בְּוָא”ו, מַה שֶּׁלֹּא הָיָה מִקֹּדֶם לָכֵן. 46. וְהֶפְדָּהּ, מַה זֶּה וְהֶפְדָּהּ? גָּאַל אוֹתָהּ הַקָּדוֹשׁ בָּרוּךְ הוּא עַכְשָׁו, שֶׁמַּעֲלָה רֵיחַ, טֶרֶם שֶׁתַּחֲמִיץ, וּמַעֲלֶה אוֹתָהּ לְרוּמֵי מְרוֹמִים בַּיְשִׁיבָה שֶׁלּוֹ. וְאִם תֹּאמַר, כֵּיוָן שֶׁנֶּעֶשְׁקָה מֵאוֹתוֹ הַצַּד הָרָע, נוֹתֵן אוֹתָהּ, כְּמוֹ שֶׁאָמְרוּ לַחֲסִידֵי אֻמּוֹת הָעוֹלָם וּלְאוֹתָם מַמְזֵרִים תַּלְמִידֵי חֲכָמִים – בָּא הַכָּתוּב וּמוֹכִיחַ, לְעַם נָכְרִי לֹא יִמְשֹׁל לְמָכְרָהּ, וַדַּאי, בְּבִגְדוֹ בָהּ, שֶׁעוֹשֵׁק אוֹתָהּ בָּעֹשֶׁק שֶׁל גִּלְגּוּל הַמֹּאזְנַיִם, אֶלָּא לְיִשְׂרָאֵל וַדַּאי, וְלֹא לְאַחֵר. וּכְשֶׁיּוֹצֵאת מִן הַמֹּאזְנַיִם, לֹא תֵצֵא כְּצֵאת הָעֲבָדִים, אֶלָּא מִתְעַטֶּרֶת בַּעֲטַרְתָּהּ בַּהֲרָמַה עַל רֹאשָׁהּ. The Torah is written with the word לא, ‘not’ for ‘not designated for him’, but the Torah reader should read it as ‘לו’, which means ‘designated for him’. If the soul was designated for him but was taken by the negative side then it shall be redeemed before the other side corrupts the good part of that soul. The verse says ‘He shall not let foreign people (impure side) to govern her’ to tell us that God protects the special souls from being soiled by impure side. The Zohar reveals that these redeemed souls are taken to the study halls on the higher levels by the Holy One Blessed be He. 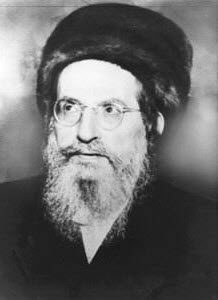 This Zohar study is dedicated to the soul of Yosef ben Fele from Tenerife who passed away last month at the age of 43. He was a good student of the Daily Zohar. As his close friend told me (see below) he was a dedicated spiritual being, kept Shabbat and woke up at midnight (hatzot) for Zohar studies. He fell sick and after three weeks in the hospital he passed away. This information came today to give us a real life example of today’s study. Yosef ben Fele was good and dedicated to the ways of Torah and Kabbalah. He revealed so much Light that made God happy with him. As the Zohar teaches us, God took him to study above in the halls of the righteous. We may feel sad that he passed away at a young age but the truth is, as we learn from the Zohar, he received a great merit to be taken away before his soul could be corrupted in the lower levels. We should always remember that our life is not about the length in the corporeal world but about the Light we reveal while we have the gift of life and energy to work on our tikun. Rabbi Shimon and all the great Kabbalists that came after him passed away. Many of them at young age. Their teachings are still echoing in the world enlightening so many souls for many generations. We, meaning those of us who have the merit, will see them in a pure flesh at the time of the Resurrection. They didn’t work for their temporary life. Their work is for the ultimate goal, which is living forever with the Light. Our friend, Yesef be Fele, for his righteous ways, has the merit to be on the pages of the Daily Zohar that he loved so much. Three weeks in the hospital was also a gift, giving him opportunity to disconnect from the physical body and purify his soul from attachment to this world. He will stay on the Daily Zohar as long as this website is online. B”H I’ll have the money and will be able to make arrangements to have this website live online for a long future. B”H we see Mashiach in our times. To have the merit for the resurrection and immortality, we should make spiritual connections, study Zohar. Only then we can go to our community gathering for hugs and kisses. The key for Immortality is in the Zohar and spiritual connections. The following is a copy of the conversation I had earlier today with a friend of Yesef ben Fele of blessed memory. I’ve added comment in parenthesis to make the reading clearer. BARUJ DAYAN HA EMET (blessed is the judge in truth. )…OUR DEAR JAVER (friend) YOSEF BEN FELE IS IN GAN EDEN. HE LIVED IN TENERIFE (an island in the north west of Africa) WHERE THERES NOT COMUNITY, HE STUDIED ZOHAR IN JAZOT (Midnight), HE LOVES YOUR GREAT WORK AND READ ALWAYS ZOHAR DAILY. HE WENT ON (passed away) 25 TEVET 5776 PLEASE SAY KADISH FOR HIM AND DEDICATE ZOHAR STUDIES. TODA RABA (Thank you)!!!! Thank you for telling me my friend. I will say kadish for his wonderful soul. God called him up. He cleansed himself with all the Zohar studies. He has a good place in heavens and will merit the Resurrection. Yosef in his Tefila place (Praying place)…with Rab Najman de Breslov Tamid and Hashem 72 names..He make them. Zion, We want to give Zedaka in his name for your page Dialy Zohar. He left on 25 tevet 5776 ..january 6 2016.